I loved this recent post at Simple Mom with four tips for being a playful parent. 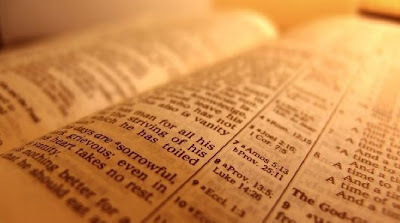 I am especially encouraged and challenged by the first and fourth tips. The first tip challenges the very start to my day. Too often I quickly feed the kids and start into my chores, leaving them to occupy themselves until I am ready to go. But I happen to know from experience that giving them my attention first thing in the morning normally leads to a more peaceful day (especially the afternoon). The fourth tip challenges my response to their desires throughout the day, particularly those we cannot meet. The name, the "cereal trick," comes from the story of a child who wants a specific cereal that they don't have. "I wish I could magically make a box appear," is his mother's understanding, sympathetic response. "Sometimes just having someone understand how much you want something makes the reality easier to bear." Check out this post and enjoy some playful parenting. After touring Edzell Castle, we headed south to the little coastal town of Arbroath to visit the ruins of the Arbroath Abbey (and to eat Arbroath Smokies, but that is for another story). The abbey was founded in 1178 for monks of the Tironensian order by King William the Lion. The abbot's house, the guest house and the gate house are still relatively intact, but the abbey church has fallen into ruin. We loved exploring these beautiful buildings. The stones contained the same red coloring of Edzell Castle only a short distance away. And we enjoyed the improving weather as well. The rain stopped and the sun came out shortly after we arrived. There is some incredible history that occured here, the most famous being the Declaration of Arbroath to Pope John XXII after Robert Bruce defeated Edward II of England at Bannockburn in 1314. The letter laid out Scotland’s case that it was an independent, sovereign kingdom and should no longer be excommunicated from the church. The stunning front windows of the altar area draw your view toward the front of the church. Standing among the fallen pillars, you can imagine the worship of the past echoing through the cathedral. The interior of the abbot's house was incredible. I loved the arched ceilings and central pillars. Joshua was not fond of the darkness inside the house, and I can only imaging how dark it was years ago only lit by candle, especially in the middle of a Scottish winter. Abigail more bravely explored the house and enjoyed the break from the wind. By the end of our visit, we were all in short sleeves (except Joshua, who always wears his sweatshirt) and rejoicing in the sun. Visit our photo album for more pictures from our visit to Arbroath Abbey - July 2010. Now we begin the adventures of our second weekend with a car. I just finished our trip to St. Andrews, which took place in mid-June. In mid-July we rented a car for a second time, and explored more of northern Scotland. Our first stop was Edzell Castle, about an hour south of Aberdeen. After all the gray castles, made of granite and other almost colorless rocks, the red coloring of this castle was a beautiful contrast. You can especially see the coloring in this close up of the outer wall. One of the most amazing features of this castle ruin was the incredible walled garden. I love the plant boxes the lines the walls. There were lovely carvings in the walls and the garden house was still in great condition. We also enjoyed the fields of sheep and goats on the other side of the castle walls. They must have been gathering the animals for sheering or something else because there were an amazingly large number of them all in the adjacent field. The goats sounded comically unreal -- like a person poorly imitating a goat -- with a low "mmaaaaa." Too funny! We also enjoyed the wild life on the property. Joshua followed a little rabbit through the grass and Abigail was fascinated by the peacocks. You can see more of these animals in our full photo album. This was a lovely castle, one I would definitely recommend. Though the ruins themselves were not as interesting to the kids, we all enjoyed the walled gardens. Take a look at more pictures from Edzell, including peacocks, sheep and goats, bunnies and more in our Facebook album: Edzell Castle - July 2010. 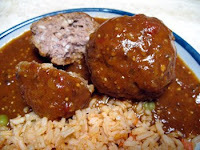 Last week we really enjoyed the Albondigas (Spanish Meatballs) and Mexican Rice. My husband made the rice and it was the best we have had since moving here. We are repeating a few meals from last week because of some last minute change of plans (like a wonderful, last-minute BBQ on a sunny afternoon, and a chance to watch the kids so our friends could go out and celebrate). This week we tried the Albondigas (Spanish Meatballs) recipe from the Morrison's July magazine. I served the meatballs with Mexican Rice. We enjoyed this meal, and I wanted to share the recipes with you. Below are both recipes, the meatballs and rice. Mix onion, garlic and minced meat with egg, breadcrumbs, cumin, chilli power and salt. Roll into 20 small balls. Heat oil in a large pan; fry meatballs on all sides, turning frequently until evenly browned. Add chopped tomatoes, broth and paprika; bring to a boil. Reduce heat and simmer for 20 minutes, so the meatballs are cooked through and the juices have evaporated a little. In a sauce pan, sauté onion and garlic until softened. Add tomatoes, chili powder, salt, and broth. Mix well; add rice. Bring to a boil; reduce heat and simmer until liquid has been absorbed, about 20 minutes. After our tour of the castle, we headed down to St. Andrews beach for some fun and relaxation. The water was beautiful, and this part of the shore had amazing rock formations creating tide pools and climbing opportunities. Joshua and Abigail were much more interested in rock-throwing. They were inspired and frustrated by the waves. The goal was to hit the incoming wave without getting your feet wet. Abigail was more excited about the tide pools that don't move -- much easier target to hit with a rock. We strolled up the road to tour some of St. Andrews University. Darren was hoping to hit the library for a few minutes, but they had reduced hours for summer and were not open. It is a nice campus, spread out all over town. For dinner, we decided to try a little, carryout Fish & Chips place on restaurant row. This little shop had huge queues all evening (normally a really good indication of good food), and our wait was well rewarded. The kids and I found a little table on the sidewalk outside while Darren waited for our food (and watch Dr. Who on the little TV). The food was very good. Joshua enjoyed his enormous fish cake. Abigail ate all her fish fingers. Darren and I shared shrimp scampi and half a haddock with chips. And it was such a beautiful evening to eat outside and enjoy the sun. There are a few more pictures of our day at: St. Andrews - June 2010. Today Joshua got his hands on a pair of scissors and decided to cut Abigail's hair. She didn't come running to me, so some how he had convinced her that this was a good idea. Well the results were somewhat comical, though I was closer to tears than laughter when I first saw it. It was quite the layered bob with several long strands still hanging down her back, almost like a few poorly-placed "rat-tails" from the 80's. By the time we took pictures, I had already cut the long strands. But you can see some of the layering on this side that Joshua added. I tried very hard to blend in all the various lengths in her hair. I finally had to stop, knowing that I was just cutting shorter and shorter. Its just hair... it grows back. So here is her new haircut. I know it is not the same length on each side, but I really couldn't bring myself to cut the other side as short as Joshua had. After our visit to St. Andrews Cathedral, we hurried down the road to the St. Andrews Castle ruins, overlooking the sea. The visitors center of this castle has a nice exhibit about the life and times of this castle, including the influence of the Reformation and John Knox. Joshua loves it when castles have a moat or a ditch that requires a bridge to enter the castle. And he was not disappointed with this bridge. We enjoyed climbing over the broken down walls and up the remaining staircases. There was a huge well in the middle of the courtyard that we all look down into. This castle also had a "bottle" dungeon, named for its unique shape. It looks like a well at the top, but opens up to a rounded room about 20 feet down. I would not want to be dropped into that prison. The kids enjoyed the view of the sea crashing on the rocks below the castle. We promised a trip down to the sandy shores when we were finished looking at the castle. One unique feature of this castle was the remaining mines and counter-mines that were dug by enemy soldiers under the wall of the castle. The goal was to weaken the integrity of the ground beneath the wall, so it would collapse. It was freaky crawling down this dark, narrow tunnel that had been dug so many years ago. This tunnel continued for 500 feet at least, but I was not willing to go beyond the first corner. Never knew I could be claustrophobic, but this did it for me. The castle is beautiful from the view of the sandy beach. The sea had begun to wash away the outer edges of the castle. They built this retaining wall to keep from losing more of the castle to erosion. After the castle, we headed to the beach for some play, down the road to the University, then on to downtown St. Andrews for some dinner. Visit our facebook photo album, St. Andrews Castle - June 2010, for more pictures of the castle. Coming soon, more pictures of St. Andrews beach and downtown. I feel like it has taken me all week to recover from our weekend of touring last week. Although there are still some housecleaning chores that I have not gotten to yet. Sorry pictures have been so slow in coming. I have been too tired in the evenings to do much of anything. Our 11th wedding anniversary was last Saturday. We are going out to dinner and a movie on Thursday. We haven't decided where we are eating, but we have a couple places that we have been wanting to try. A few weeks ago we drove down to St. Andrews to do a little site seeing. We wanted to spend some time at St. Andrews Cathedral, the Castle and walking the town and University. This was actually one of the other schools Darren considered before deciding on the University of Aberdeen for PhD studies. Our drive down was overcast and drizzly, but we were pleasantly surprised that only a hour south of Aberdeen was beautifully sunny. We had wonderful weather for our trip. Our first stop was St. Andrews Cathedral. This was our first church ruin and it was more inspiring than I had expected. To walk the grounds where people had worshiped for hundreds of years was incredibly humbling and gave a sense of communion with the saints who have gone before us. There is so much history here at this site. The story is that St. Andrews bones were brought here after 300 A.D. when St. Rule established the city and place of worship. Although the documented story indicated that the spiritual community began here in the 700's. This largest cathedral ever to be built in Scotland was dedicated in 1318, after 150 years of construction. It became a place on conflict in the Reformation as well, when John Knox preached at St. Andrews Parish Church in 1559, stirring crowds against the Cathedral with its "popery." These cathedral ruins overlook the North Sea. If you are ever in the area, it is worth spending a few hours taking in the history and beauty of the buildings and the location. Check out the full photo album at St. Andrews Cathedral - June 2010. 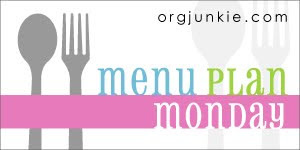 Last week we really enjoyed the Crockpot Tamale Pie. I added leftover roast chicken to the recipe. It seemed a little dry, though; I might have overcooked it, or the shredded chicken may have absorbed all the moisture. Maybe another can of tomatoes would be better. I also forgot how much stronger my chilli powder is here (and yes, they do spell 'chilli' with two 'L's here), so it was a little too spicy for the kids, though they enjoyed the cornbread crust. We have a few repeats from last week. This weekend we were sightseeing the entire time and had dinner out most evenings. This year we celebrated the 4th of July in Scotland... very different, as you might imagine. But we had a good ol' American BBQ. I did not remember to pull out the camera, but our wonderful host for the BBQ, Emily, captured the entire event in her 4th of July post (and yes, there are pictures of the event). And, so our Canadian expats would not feel left out, we had an O Canada celebration at our monthly AWF get together on Monday. Emily also included some pictures of that fun! Forgive my laziness for not writing my own post. And check out Emily's account of our fun! 4th of July & Canada Day in Scotland! Kid's aprons in a snap! My kids love baking in the kitchen with me. Recently they asked me why they didn't have aprons like mommy, so I had to find an inexpensive, easy solution to this dilemma. 1. Find a tea towel with a fun pattern. Joshua liked the red and blue (his favorite colors) of this 3 for a £ tea towel. 2. Round up some kind of cord or belt that you can use to tie the apron around your child's waist. I was going to use shoe laces, but Joshua immediately thought of his belt and asked for that instead. 3. Fold the towel in half over the cord or belt and fasten it around your child. Or copy Joshua, and simply have the child hold the towel while you fasten it. Abigail chose this cute little chickie towel I found in a charity shop for 20 pence. For her apron, I found a ribbon-belt that I strung through the fold in the towel. She didn't want to hold the towel like Joshua did. And the result was wonderful. They were so inspired and pleased with their new aprons. Though for next time I think maybe a little gathering or pleating around the belts might make it more comfortable. What do you do to inspire and include your children in the kitchen? I'm a few weeks behind posting pictures from the Aberdeen Highland Games, but I thought you would still enjoy hearing about it. Highland games are held throughout northern Scotland to celebrate Scottish and Celtic culture and heritage. The games are known for the kilts, bagpipes, dancing, heavy events and light events. We didn't have the nice camera with us this day, so there aren't many pictures from the competitions, but we really enjoyed them. There were pipe bands (as pictured above) and lively highland dancing (similar to a "Riverdance" style). The dance competition was truly beautiful. And everywhere we wandered, we were surrounded by the music of bagpipes. Wonderful! The light events include tug-o-war, racing and other competitions. But the Highland Games are better known for the heavy events: the caber toss (pictured above), stone put (similar to shot put), the hammer throw and more. I most enjoyed the caber toss and the weight over the bar throw (also called weight for height). Joshua and Abigail loved the Mini Cooper parked in one of the shopping tents, as a giveaway for a drawing. We all enjoyed wandering through the booths looking at all the merchandise. And then there was the food! I was very excited to check out the Abroath Smokies, a famous smoked haddock that dates back to the 1800's. The fish are smoked in halved barrels with fires underneath, trapping the smoke under layers of hessian sacking. Amazing flavor, but very difficult to eat as fair food. The wrap the whole fish (after removing the bones) in paper and hand you a fork. The juices drip out the bottom as you attempt to pull the delicious pieces of fish out. Very messy! Very good! (sorry I forgot to take pictures). The kids, on the other hand, went for the yummy ice cream. This ice cream had the texture of whipped cream, but the taste of real ice cream. Very strange, but the kids enjoyed it. It was so funny watching Abigail learn how to eat ice cream from a cone. After treats, we had to check out the carnival rides. Both kids were drawn to the vehicles on this particular ride. Joshua was excited to be in the driver's seat of this jeep. Abigail took an upstairs, front row seat on this colorful, double-decker bus. Her first carnival ride. She loved it! Both kids were given free balloons. Joshua was very pleased with his sword (though half the time he played it was a walking stick, like Mr. Fredrickson from the movie UP). Abigail loved her beautiful flower (though most of the leaves had popped by the time we reached home). We also wandered into a tent with music competitions. Abigail was immediately struck by the fiddles and bagpipes. She started dancing to the music! It was so cute. She loved all the dancing competitions, and told me she was going to dance when she was bigger. The competition winners (in addition to their cash prizes) go on to compete at the larger district games later this summer. We may have to check out some of the bigger games as well. What a wonderful day we had at the Aberdeen highland games! Check out the rest of our photo album: Aberdeen Highland Games - June 2010.